The Guru’s Birthday is the greatest day of the year to receive his abundant blessings. Dr. Pillai’s Birthday on Feb. 1 will be especially powerful this year because he is embodying the energy of Dattatreya, which includes Shiva, Vishnu, and Brahma. 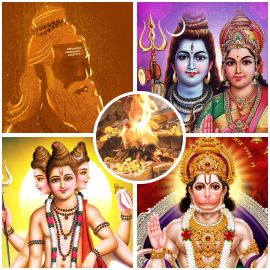 We invite you to participate in the last 3-day ceremonies – a grand fire prayer and Poojas at unique Powerspots to attract wish fulfillment, wealth, and victory blessings. You have the opportunity of participating in Dr. Pillai’s birthday ceremonies via proxy technology that will be performed at some of the greatest Powerspots in India. Your participation in the ceremonies has the power to remove your sins, purify your mind and body, bring you abundance and miracles. Dr. Pillai recommends using this proxy technology to rewrite your destiny. 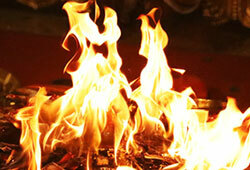 This fire prayer invokes the blessings of the great Rishi Vishvamitra at the sacred Vijayapathi Powerspot. Dr. Pillai has been divinely inspired to connect with this Powerspot for his birthday. Participating in the sacred homa to Sage Vishvamitra, who revealed the highly revered Gayatri mantra to the world and the sound ‘Brzee’ to Dr. Pillai during his birthday powertime is targeted to invoke the power of unconquerable victory in your endeavors and grant prosperity blessings. Courtallam is the sacred abode of the Siddhas who are believed to still live as light bodies. 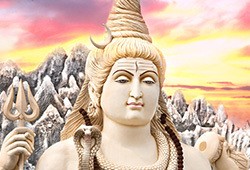 As per the Powerspot belief, performing a special Pooja to Lord Shiva and Goddess Parvati at this Powerspot can grant relief from skin problems and mental illness. 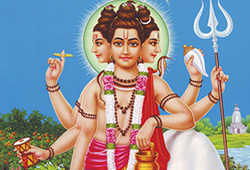 Agastya is the most renowned Siddha and is considered as the father of Tamil literature. It is believed that performing a special Pooja to Sage Agastya can give relief from Pitru Dosha (ancestral curses), sins from previous births, various diseases, and Doshas (afflictions) of Mercury in the birth chart. As per Powerspot legend, performing Archana (Pooja) to Lord Dattatreya at Suchindram Powerspot where Hindu Trinity is represented in the form of a Lingam can fulfill wishes, grant marriage and progeny blessings, longevity, and abundance. 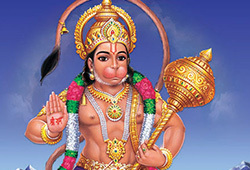 As per the Powerspot belief, performing an Archana to the giant 18-ft Hanuman can bestow both physical and mental strength to lead a successful life. As per Powerspot practice, performing a special Pooja for Goddess Bhagavati at this Powerspot can remove karma and help ancestors attain liberation.